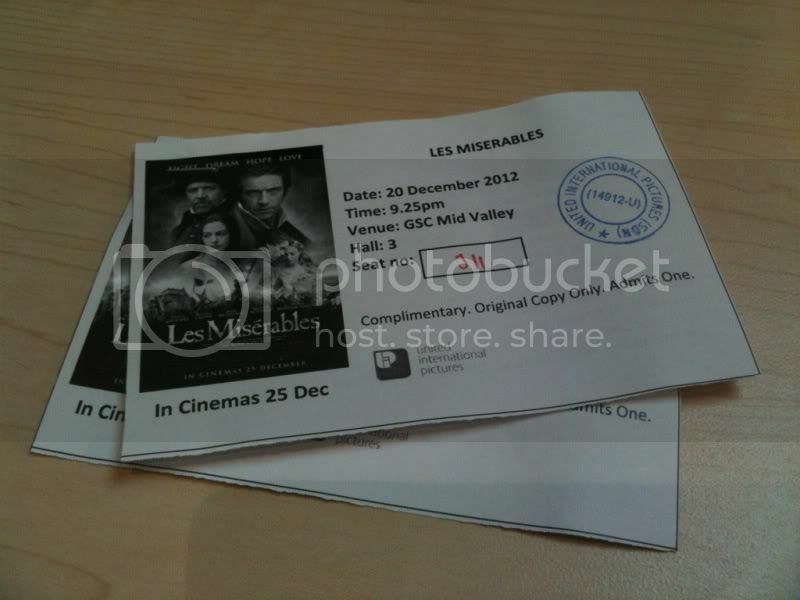 Thank you Nuffnang for the invitation to the screening of Les Miserables on 14th December 2012. Sorry for the late updates though. I was busy working in Penang for the past one week after my trip. A week later, Nuffnang sent me an email for movie replacement for Les Miserables. This time it started at 9.25 pm. However, we waited for almost half an hour for the movie and we were told to wait for another 15 minutes because the movie started at 10.10 pm at Hall 4 instead of Hall 3 due to some problems occurred. A week of waiting was worthwhile. Imagine the rest who got the premiere screenings tickets got to watch a week before us. *sigh* We received complimentary popcorns and beverages on that night. But we could not even finish a packet of popcorns because we were shivering to the max. I wanna thank GSC Midvalley and Nuffnang for the awesome movie though! This movie stars an ensemble cast led by Hugh Jackman, Russell Crowe, Anne Hathaway and Amanda Seyfried. 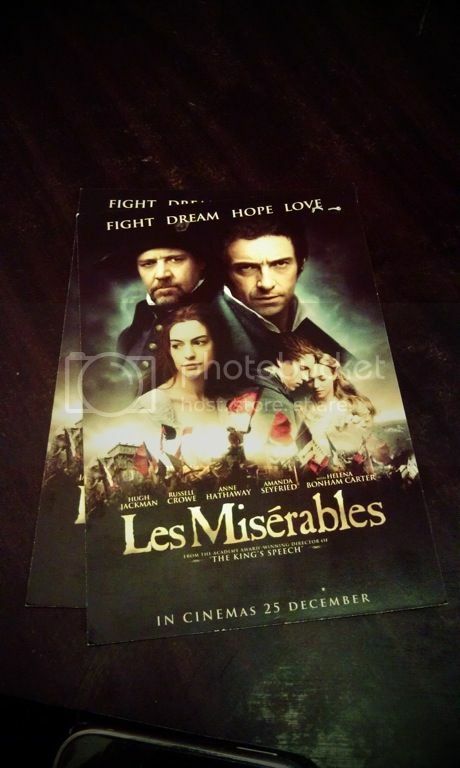 The movie tells the story of Jean Valjean (Hugh Jackman), a former prisoner who becomes the mayor of a town in France. Valjean agrees to take care of Cosette, the illegitimate daughter of Fantine (Anne Hathaway) and must avoid being captured again by Javert (Russell Crowe), a police inspector.